Good morning from California. We've skipped town for a few days to visit my dad and step-mom in beautiful Napa. It's been a year since we've been here and every time we come, I wish we visited more. 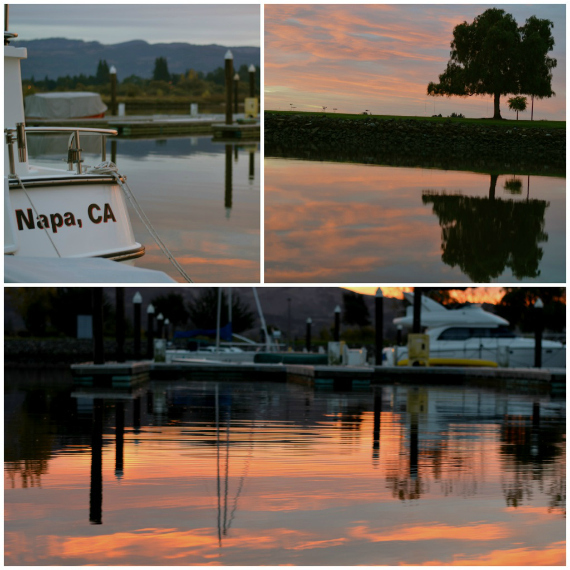 Waking up to the sunrise on the Napa river was such a treat. And sipping a latte made by my dad while catching up on life is perfect. I'm looking forward to more family time, more beautiful scenery, and more delicious wine. I'm kidding about the wine, of course. But man, do I miss drinking wine. And I've missed California. It's good to be back. What is your favorite place in the U.S.? I'd have to say California. Northern, of course. I thought you would have said Utah. :) I love Iowa. Wouldn't want to live anywhere else. Visit everywhere else...stay here, though. :) I've never been to northern Cali but I really loved San Diego. Northern California (home) is definitely my favorite place full of my favorite people.